Menton: All dinosaurs are divided into two major groups based on the structure of their hips (pelvic bones): the lizard-hipped dinosaurs (saurischians) and the bird-hipped dinosaurs (ornithiscians)[sic]. The main difference between the two hip structures is that the pubic bone of the bird-hipped dinosaurs is directed toward the rear (as it is in birds) rather than entirely to the front (as it is in mammals and reptiles). While it is true that the pelvic bones of Ornithischian dinosaurs are somewhat superficially similar to the pelvic bones of birds they are not the same in detail. One obvious difference is that birds lack the prepubic process (labeled “forward prong” in the illustration below) found in Ornithischians. Now here is a comparative illustration of a Saurischian dinosaur hip bone (Deinonychus), the hip bone of Archaeopteryx, the earliest animal classified as a bird, and a type of living bird (Aquila, the Golden Eagle). As can be clearly seen, the hip bone of the earliest bird, Archaeopteryx, which Dr. Menton states is a “true bird”, was much more similar to that of some predatory Saurischian dinosaurs like Deinonychus than they are like modern birds (nor, as I said, are modern bird’s hip bones identical to those of Ornithischian dinosaurs). 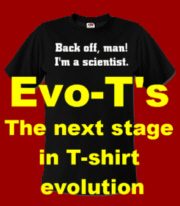 But this is all a lead up to the really big scientific blunder. Menton: But in most other respects, the bird-hipped dinosaurs, including such huge quadrupedal sauropods as Brachiosaurus and Diplodocus, are even less bird-like than the lizard-hipped, bipedal dinosaurs such as the theropods. This point is rarely emphasized in popular accounts of dinosaur/bird evolution. So according to Dr. Menton the “huge quadrupedal sauropods“, the group to which the largest land animals that ever lived belong, such as Brachiosaurus and Diplodocus are “bird-hipped” dinosaurs that are “even less bird-like” than lizard-hipped theropod dinosaurs. Yeah, huh, the problem with that is, the giant sauropods in question are, Dr. Menton’s claim notwithstanding, not in fact Ornithischian dinosaurs at all, they are Saurischian dinosaurs just like the bipedal theropods. 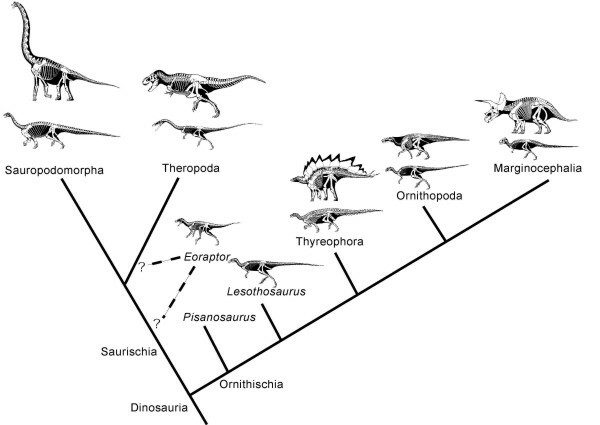 Here is a cladogram showing the sauropods and theropods on the Saurischian branch of the dinosaurs and a variety of Ornithischians on the other. Dinosaurs are divided into two orders, the Saurischia and the Ornithischia, on the basis of their hip structure. Saurischia (from the Greek meaning “lizard hip”) include all the theropods (bipedal carnivores) and sauropods (long-necked herbivores). Ornithischia (from the Greek meaning “bird-hip”) is the other dinosauria order, most of which were quadrupedal herbivores. My point here is, and this is a running theme for me, if a creationist like Dr. Menton doesn’t even know an Ornithischian dinosaur from a Saurischian one, if he doesn’t know something so basic, something most children could probably tell you (that sauropods were saurischians), then he is in no position to be lecturing confidently on how impossible it is for birds to have evolved from dinosaurs. There are answers to Dr. Menton’s other objections but really, why exactly should anyone take them seriously in the first place? 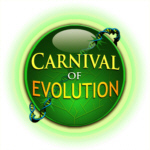 This entry was posted in Antievolution, Comparative anatomy, Creationism, Evolution, Paleontology, Systematics and tagged Answers in Genesis, Archaeopteryx, birds, Creationism, David Menton, dinosaurs, ornithischian, saurischian. Bookmark the permalink. 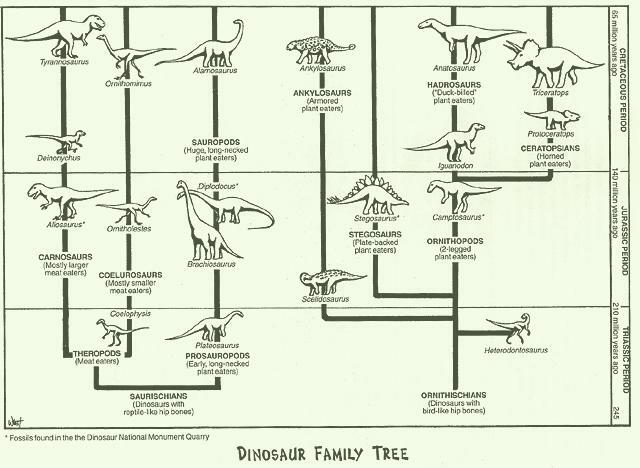 Hmmmm, doesn’t calling it a “dinosaur family tree” kinda give the game away? I take a lot of things seriously. However trolls are not among them, troll.